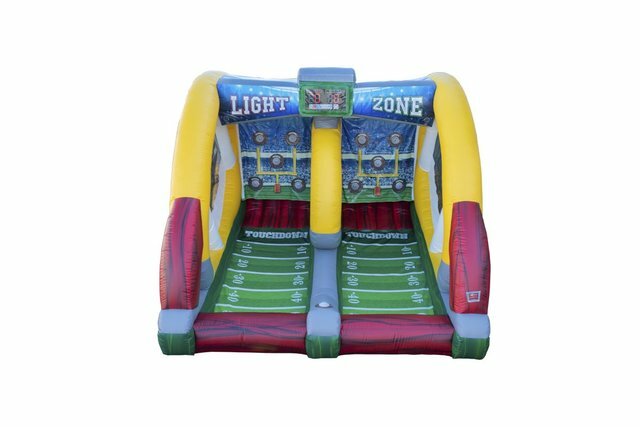 Bring out the Quarterback in you with our Inflatable Football Light Zone Challenge. 2 players, red and green compete at throwing footballs at the light up targets while the game keeps score. This is a must for any event.